Described as "Ratchet & Clank meets Zelda meets Uncharted", Oliver & Spike: Dimension Jumpers is an upcoming indie platform adventure game that has high aspirations. Some new details have recently been released about the game, emphasizing its unique story-driven content, dimension jumping abilities, and family-friendly gameplay. Co-op in Oliver & Spike is being developed from a parents playing with their kids perspective. Certain areas in the game will require two players to work together to make it through in one piece. These sections won't be solvable if you're going solo, but it will be an easy affair to switch back and forth between single player and co-op modes. 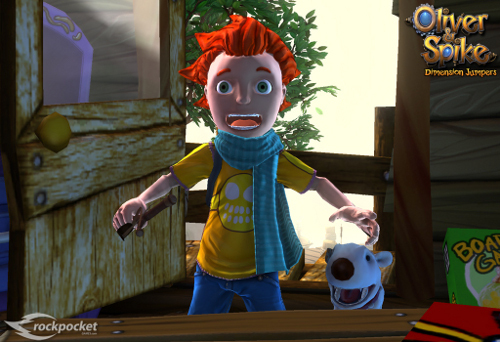 Oliver can swim, run, jump, climb and interact with game-play elements such as picking up, throwing or manipulating objects either directly or with the help of weapons. Parallel Dimensions: Explore the first three Terra, Firma and Aqual each with their own fauna, flora, quests and story-lines. A firm release date hasn't bet set for Oliver & Spike: Dimension Jumpers. The game will hit multiple platforms, with PS3, WiiU and Xbox 360 targeted as the primaries with PC/Mac coming in second. Page created in 0.5924 seconds.